Here's Mark in Florida. 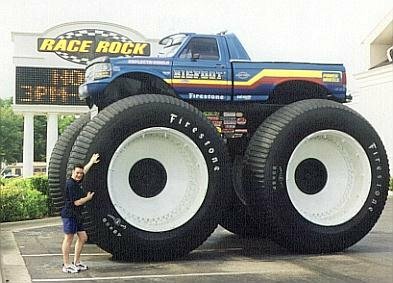 This car is called Bigfoot and has got some serious wheels! it's also a bit difficult finding a parking space for it. Here's my friend Richard from work. 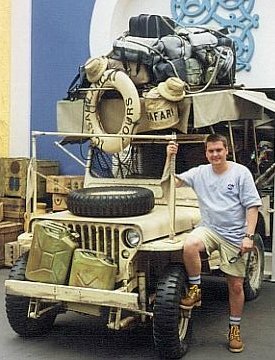 This is just the sort of vehicle he would love to own. 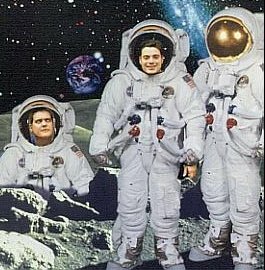 Mark and Richard decided that whilst in Florida they would take up Nasa's offer of a free trip to the moon.